One of the biggest music artist from Ireland, Picture This, have had a phenomenal last year. 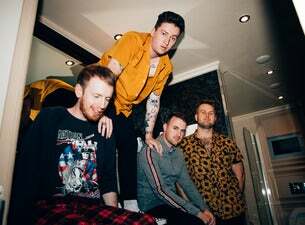 Since the release of their self-titled album in 2017, Ryan Hennessy, Jimmy Rainsford, Owen Cardiff and Cliff Deane have been topping the charts and touring across the UK. They’re set to play shows throughout 2019.